I have been coaching for over 19 years and have taught all levels of players, from beginners to ATP and WTA ranked. 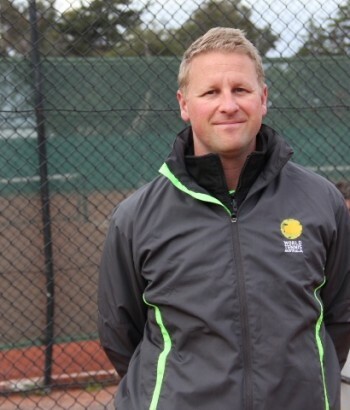 While based in the UK from 2002 to 2007, I was a touring coach for ITF international juniors and ATP ranked players. Having obtained a professional ATP doubles world ranking and played in more than 25 countries in events with players such as lleyton Hewitt, Gail Monfils & Andrew Ille plus other Davis Cup level players, I have had the opportunity to work with and learn from some of the best tennis professionals in the world and have accumulated a wealth of tennis knowledge I can now share with my students. My coaching style is enthusiastic, fun and professional and 100 percent targeted towards satisfying the client, whether that be improving fitness, or aiming for a higher level of tennis. My main coaching aim is to find out what the client wants and to try and make that happen for them! I use a variety of techniques including drills, demonstrations, one on one hitting sessions, and games to suit all ages and abilities to bring the best out of everyone. I believe I have the passion, insight and playing ability to pass on skills and advice that will benefit all levels of tennis enthusiasts.